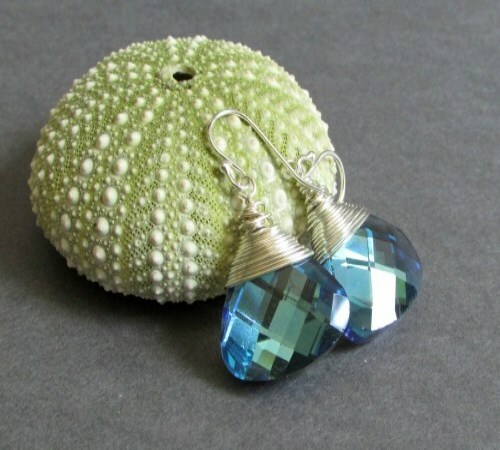 A darling addition for a wedding by the sea! 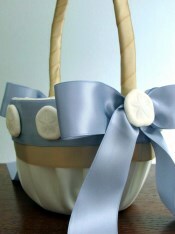 The base of this pretty flower girl basket is constructed with smooth satin in your choice of white or ivory. 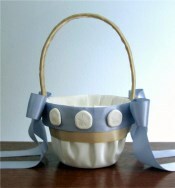 The handle is carefully wrapped with layers of satin in a warm sand color. 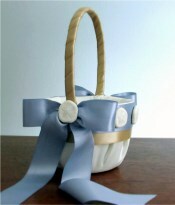 A light ocean blue sash surrounds the rim of the basket and loops into lovely bows on either side of the handle. 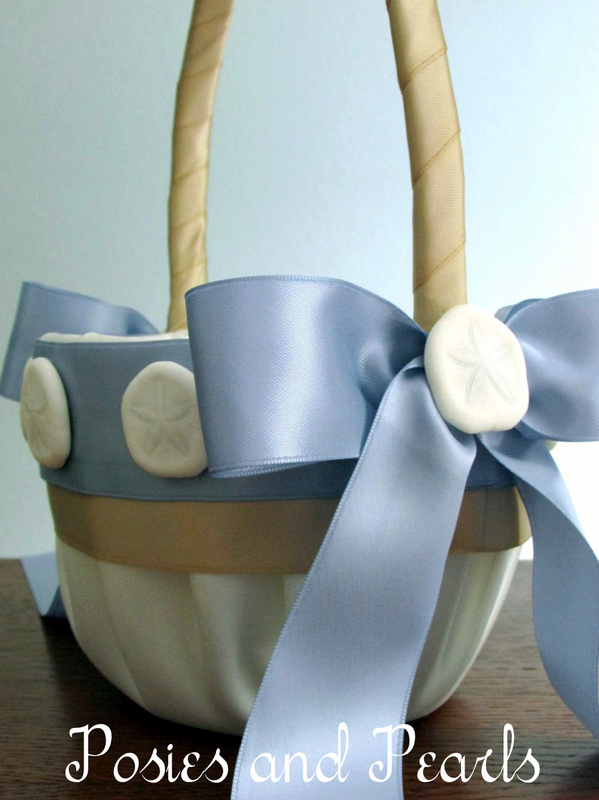 The finishing touches are the small natural sand dollars that center each bow and accent the sash. 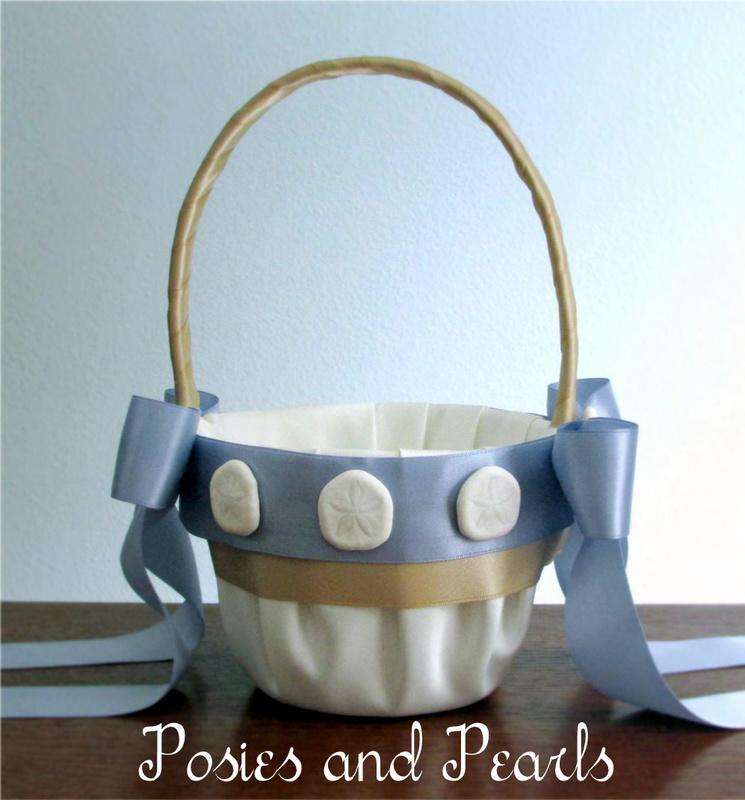 This sweet accessory would be ideal for a beach themed wedding any time of the year! 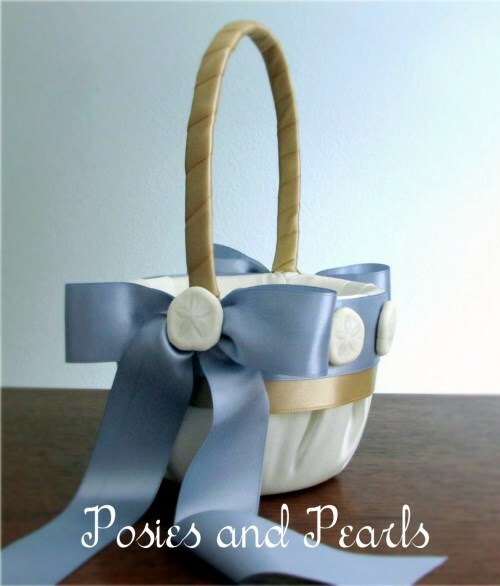 CUSTOM ORDERS: You basket may be customized in many ways. 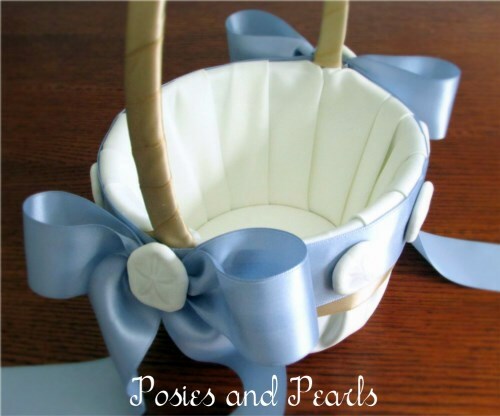 Contact me anytime to discuss the details. 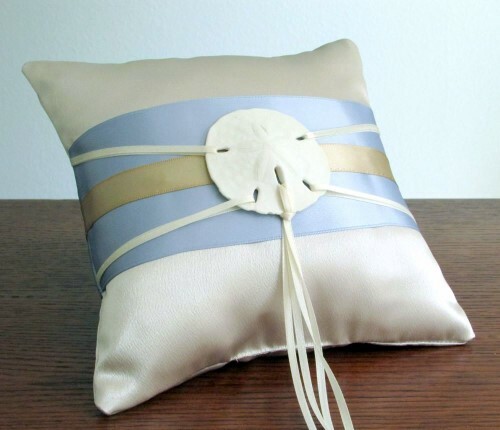 I can also create coordinating pieces for each of your attendants including bridesmaids’ bouquets, corsages, boutonnieres, ring bearer pillows, and jewelry.